Exploring national parks in the Northeast opens up a world of hiking and natural beauty that some might not expect. When it comes to U.S. national parks, most people tend to think of the big guys in the West. 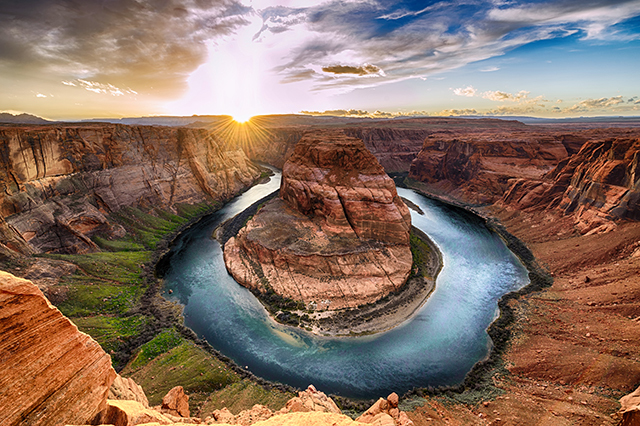 The red dusty earth of the Grand Canyon, the sprawling acres of forests, lakes and mountains in Yellowstone – those are just a few that come to mind. But there are so many beautiful landscapes and spaces right here on the East Coast. From amazing woodland trails to seashores and more, these are some of the best national parks in the Northeast. Alright, so the Appalachian Trail technically isn’t just one park. But that’s what makes it so great! Over 2,180 miles long, this trails runs through 14 states, all the way from Maine to Georgia. There are few better – or longer – hikes on the planet. It takes thru-hikers months to navigate the entire trail. For us less experienced hikers, let’s stick to the equally awesome daylong and multi-day hikes. New Yorkers can climb Anthony’s Nose for a half-day scenic hike (approximately 2 1/2 hours round trip) with an overlook at Bear Mountain Bridge with gorgeous views of the distant New York City skyline. But some of the most beautiful stretches of trail can be found in New Hampshire’s White Mountains, where 161 miles of exposed terrain stand above treeline for uninterrupted views of surrounding mountain ranges. Check out this map and get ready to explore! There are so many amazing national parks in the Northeast, and that doesn’t just include mountains and forests. Beautiful national seashores can be found up and down the East Coast. And jutting out into the Atlantic is one of our favorites – the Cape Cod National Seashore. From Provincetown down to Chatham, it’s where 40 miles of protected white beaches meet refreshing saltwater waves, and visitors and tourists can swim or go fishing for striped bass. And off the shore, wild cranberry bogs, marshes, ponds and uplands sprawl across Cape Cod ready to be explored. Hike, paddle and discover the terrain with a ranger. Or, bike the trails in blissful solitude, where you’ll likely stumble upon one of the many lighthouses scattered across the Cape. You can tour the Highland Light, the Cape’s oldest lighthouse, for $6. National parks in the Northeast come in all different shapes and sizes. They’re not always filled with sweeping sand dunes, roaring waterfalls and delving canyons. Some, like the Blackstone River Valley, are filled with history. The Blackstone River powered America’s first successful cotton mill in Pawtucket, R.I., initiating a chain reaction that spurred the Industrial Revolution. Guests are welcome to explore those very same waters by paddling, visiting museums, going on tours, and walking around the small towns and villages of the valley. Stop by one of the town’s farmers markets for fresh produce, hike peaceful trails or enjoy the outdoor recreation. And be sure to explore the history that shaped Blackstone Valley and the rest of the United States. If you’re looking for amazing coastal views and dramatic landscapes, it doesn’t get much better than this. The first national park in the east remains one of the most breathtaking around. Steep slopes rise above the rocky Maine shore for unbelievable coastal highs, including Cadillac Mountain, which at 1,530 feet is the highest point on the U.S. Atlantic coast. 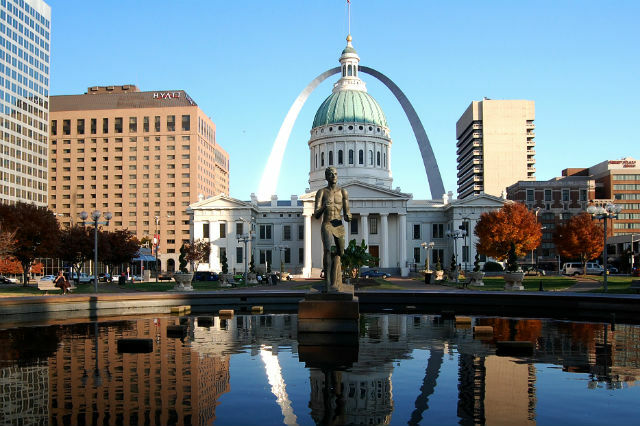 There are also over 120 miles of hiking trails to explore by foot. You can spend the day discovering the ocean shoreline or go camping and spend the weekend viewing even more beautiful landscapes, like woodlands, lakes, ponds and granite-domed mountains. And when you’re tired of walking, there’s always the option to travel by bike and explore historic carriage roads with scenic stop-off points. 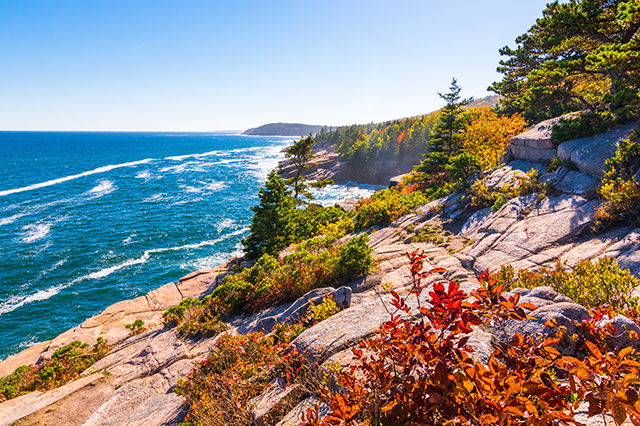 No matter what you choose, taking in the jagged coastlines of Acadia National Park will lift any spirit. The 215-mile long New England National Scenic Trail runs through 41 communities in Connecticut and Massachusetts. Great for scenic and breathtaking views, this cross-country route highlights a range of diverse landscapes and ecosystems. Hikers can expect to traverse mountains and summits, or wind through paths that navigate forests, steep river valleys, quiet streams, vernal pools, lakes and waterfalls. Travelers can get a feel for New England culture as the trail cuts through farmlands, scenic vistas and historic Colonial villages and landmarks. Experienced hikers may try to hike the entire trail; in which case these overnight sites may be of some use. Less-experienced hikers can find hikes in their physical range and comfort zone. No matter what trail you’re taking or for how long, the views and fresh air are bound to take your breath away. Look, New Jersey isn’t just home to the Jersey Shore. 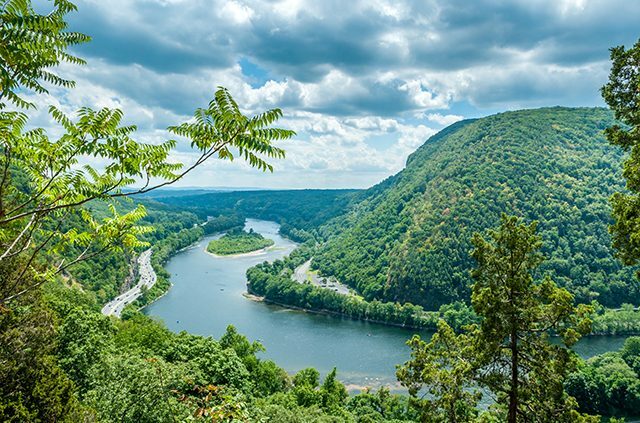 There’s so much more to the Garden State – and the Delaware Water Gap National Recreation Area is one of our top picks. Over 70,000 acres of waterfalls, streams and forests stretch across the Delaware River, making this national park perfect for New Jersey residents looking to explore the outdoors close to home. Paddlers can coast down the river between low-forested mountains, while anglers wade in the trout streams. And hikers can spend the day navigating the moderate climb up Mount Minsi, where the top yields panoramic views into the spectacular 1,000-foot-deep Delaware water gap. The Delaware Gap even has 28 miles of Appalachian Trail. No matter where you go, the mountaintops, hemlock forests, tumbling waters and fertile floodplains are all home to bountiful wildlife. So take the time to try and spot some of the beautiful creatures as you connect with nature away from phones, buildings and the bustle of New Jersey’s cities. New York is home to many national parks, historical sites and monuments – some of the most notable including Ellis Island and the Statue of Liberty. But if you’re looking for a little less history, up in the North Country is the beginning of national scenic trail that spans seven states. The New York region of the North Country Trail is breathtaking (especially in autumn with its endless hues of beautiful oranges, yellow and reds). 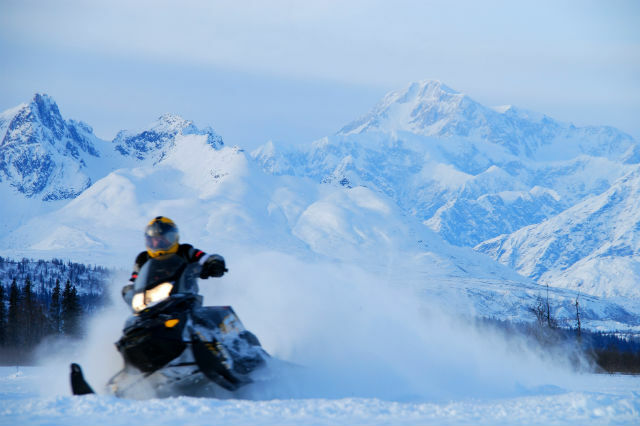 But any time of the year you can find great outdoor adventures. The 2.2-mile Mitchellsville Gorge (on the Finger Lakes Trail) is just one of the trail’s highlights. Visitors can hike along the rim of a small scenic gorge, walk through a vineyard or meander along old, rustic railroad tracks. But if you’re looking for a weekend hike, the Onondaga Trail is a great choice. You’ll walk through mixed hardwood and coniferous forests, past waterfalls streams and ponds, a 19th-century cemetery and more. As you stroll the trails, enjoy the beautiful wildflowers and stay quiet enough to catch glimpses of animals living in the forest, like deer, coyote, foxes and songbirds. 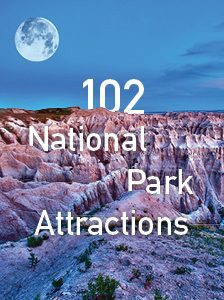 Looking to explore more national parks in the Northeast? Spend hours, days or perhaps a week in some of the most beautiful and historical landscapes the East Coast has to offer. What is your favorite of the national parks in the Northeast? Tell us in the comments. Article tags: acadia national park, beautiful landscapes, best national parks, best national parks in the northeast, bike, cadillac, camping, Connecticut, england, find hikes, first national park, garden, georgia, hike, hiking trails, home, Massachusetts, national parks, national parks in, national parks in the northeast, the best national parks, the first national park, the national parks, to hike, tours, travel, trip.